UVK offers a 2-day weekend course for those who want to take the first step to becoming a windsurfer. New for this year is also that we're able to offer more advanced courses thanks to Thomas, who is a new instructor in the club. See more info below. Our popular 2 day weekend course in windsurfing is your first step to becoming a windsurf! The course usually attracts both you who have never been on a board before and you surfed earlier and want a fresh start. We adapt the courses to the different circumstances of the individual and try to suit everyone. We start with a theory section and then run simulator training. Then we get out on the water to start exercising .. All you need to bring is a happy mood. All equipment is included in the course fee. Access to the kitchen in the clubhouse. As a participant in the surf course, you automatically become a member of UVK and this for the club's insurance to apply and that you will be able to borrow new equipment after the course. For your safety, we have the requirement that all participants should be able to swim at least 200 meters. Do you want to learn how to start planing, improve your stance and take a step closer to the perfect jibe, then our continuing course is something for you. New for this year we are able to offer further courses thanking Thomas, who is a new instructor of the club. 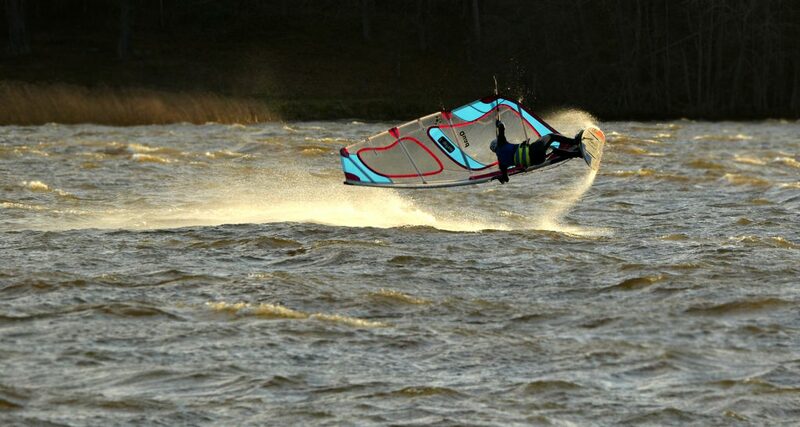 Thomas has previously worked as a professional instructor for 5 years at various windsurfing centers in Europe. The courses will be held in English. There will be no fixed dates for the courses as they depend on different wind conditions. After you have resistred your interest in the form below, you and Thomas will find a date together that fits. Enter in the comment field if you have any desired data references. If you do not have your own equipment, you can borrow from us. Also wetsuit can be borrowed. For the group courses, the requirement is that at least 3 people register for a course for it to take place. How many times have you windsurfed before? Are you a member in UVK? Keep in mind that this is only an registration of interest. You will later receive an email about whether the course will take place or not depending if there are enough participants. You will then also be asked to confirm your reservation and until then the reservation is not binding.